I Hate to Exercise. What Do I Do? You hate exercise? Guess what? You’re not alone. Millions of people would rather extract a molar than get on a treadmill for 30 minutes. The idea of engaging in physical activity is a nightmare to them. The hard truth without any sugar coating is this. If you do not exercise, you will never lose weight. You will be weak, get even fatter and in the long run, be susceptible to many diseases that are constantly looking for people who hate to exercise. They always find them too. The issue here is why you hate to exercise. In many cases, it’s because you’re engaging in exercises that just do not interest you. Whenever a lady wishes to lose weight, 9 out of 10 times, she gets a pair of running shoes and goes running. She may hate to run. Yet she does it. Of course, you will hate to exercise if it means engaging in methods that you hate. There are so many methods of training that you absolutely have no need to force yourself to just do one. Find a cardio exercise that you enjoy. Maybe you like to dance. Well, go sign up for Zumba classes then. What? Your husband constantly annoys you and makes you feel like kicking him? Go sign up for kickboxing classes and kick away or get a DVD and workout to it. Maybe you like to swim or cycle. Different courses for different horses. You need to find out what you like to do and go do it. It will not be torture if it’s something you enjoy doing. The key point here is to get moving. If you just do not want to move and you hate everything, then no one can help you. However, if you are reading this, you definitely want to help yourself. That itself is enough. Now you just need to find a physical activity that brings you joy. Once you engage in the cardio activity that you like and your diet is in order, you will inevitably lose weight. Yes, you read that right. As long as you are training and on a caloric deficit, weight loss is inevitable. You can shed the pounds and it doesn’t have to be a torture. You are in control of your own life. Many women who start off doing exercise that they love, get slimmer, fitter and stronger. They then go on to try other demanding activities such as interval training or resistance. It is a progression. Rome was not built in a day. It will take you time to lose the weight and find yourself. Once exercise becomes a daily habit, you will look forward to it and even on days when you don’t feel like training, you’ll still get up and train. The habit has become a part of you. Ideally, your exercise program should consist of a cardio and strength training workout. So, you will need to do your research and see which you like. An example for many women would be Zumba and Pilates. Both are extremely popular. One improves your cardiovascular state and the other strengthens your core and other muscles. Neither is as arduous as pounding the tracks for hours and sweating like a pig. You have a choice to choose an exercise you enjoy doing. Exercise that choice and lose the weight. Author ErlendPosted on 08/04/2017 Categories Training, Weight LossTags cardio and strength, cardio exercise, cardiovascular state, daily habits, dance, different courses, DVD, exercise, exercise program, get slimmer fitter stronger, hate exercise, I Hate to Exercise. What Do I Do?, interval training, kickboxing, lose weight, physical activity, spinn clases, weight loss, workout, Zumba, Zumba classesLeave a comment on I Hate to Exercise. What Do I Do? Should You Get Weight Loss Supplements and Are They Effective? Weight loss is a billion dollar industry. 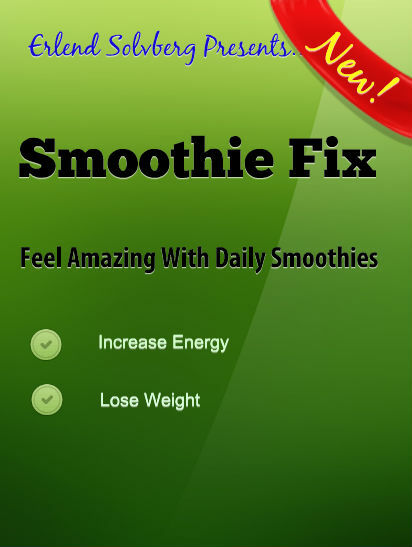 A huge chunk of the profits are generated by companies producing and selling weight loss supplements. The marketing for these supplements are slick and very convincing. Yet, you can rest assured that these companies are not altruistic and creating these supplements for your benefit. There is only one goal in mind. Getting your dollar. That is the bottom line for them while your bottom keeps getting bigger. Before we go any further, remember this. You cannot get slimmer by eating something else. It doesn’t matter whether the new weight loss supplement is the result of some scientific breakthrough or it made the mice in some laboratory lose weight fast. Healthy weight loss can only be achieved the old fashioned way. Exercise, a sensible diet and a caloric deficit state are the cornerstones of successful weight loss. They are neither romantic nor pleasant. No scientific breakthrough is required to know that if you burn more calories than you eat, your body is going to burn its fat stores. Forget the hype, paid testimonials and impressive before and after photos that are used to sell these products. None of those matter and you will be setting yourself up for a fall if you are expecting a miracle in some plastic bottle. You must change your diet and start exercising. It will not be pleasant but weight loss is not a pleasant journey. You most probably gained weight by eating more and moving less. So, to reverse this situation, you must eat less and move more. It’s common sense which most women conveniently ignore. That’s because we’re creatures of comfort and habit. People resist change. Giving up food that they are used to eating is difficult. Getting off the couch and going for a walk is not as much fun as sitting on the couch popping M&M’s in your mouth. Yet, deep down in our hearts we know what truly matters. That’s what makes it so easy to sell weight loss supplements. Most women know that it’s difficult to stay on a weight loss program. It requires effort and self-discipline. What if you could just pop a few weight loss pills and solve the problem? The label on the bottle says that you can lose 10 pounds in 2 weeks. Let’s get it. YAY! 2 weeks later, when their weight has not changed, they get depressed and think that they are destined to be fat. All hope is lost… until some new weight loss supplement hits the market. As usual, there will be a new scientific breakthrough. Are you going to keep believing it? Or will you just hunker down and tell yourself to forget the pills and just do what you need to do. Track your calories, get your exercise and adequate rest and most importantly, keep at it no matter how many distractions come your way. No supplement or mechanical contraption that jiggles your tummy a thousand times per second is going to burn your fat. It’s just not going to happen. Never has, never will. There is no elevator to successful weight loss. You MUST take the stairs. 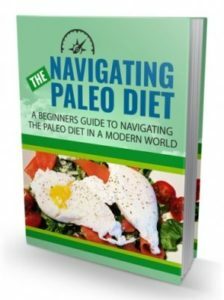 Author ErlendPosted on 08/04/2017 Categories Health, Weight LossTags burning fat, change, change eating habits, exercise, fat burner, fat burning, lose weight, Should You Get Weight Loss Supplements and Are They Effective?, start exercising, training, weight loss, weight loss program, weight loss supplementsLeave a comment on Should You Get Weight Loss Supplements and Are They Effective? Losing weight can be difficult enough on its own, but studies show that 85% fail when attempting to diet. Because of this, many people will try different weight-loss supplements to lose weight. One of the popular supplements people use to lose weight is Alli®. Where most of the supplements on the market are a mixture of natural ingredients that are supposed to help users lose weight, Alli® is a pharmaceutical drug known as Orlistat. The only FDA approved weight loss supplement on the market, Orlistat is the over-the-counter version of the prescription-only version of Xenical. Alli® contains 60 mg of Orlistat where Xenical contains 120 mg.
Alli®is a lipase inhibitor which helps you lose weight by blocking the absorption of dietary fat during digestion. It blocks the enzyme lipase, which is essential to digesting fat and is effective at blocking about 30% of the fat consumed per day. Since this fat is not absorbed by the body, it continues through the digestive tract and is later expelled by the body. Some data suggests that Alli® is effective at blocking a particularly dangerous type of fat called visceral fat. Visceral fat has been linked to diseases such as Type 2 diabetes, high blood pressure, heart disease and stroke. Alli® should be taken with each meal with no more than three capsules taken each day. As Alli® may also prevent the absorption of vitamins, it’s recommended that you take a multivitamin daily at bedtime. Alli® should also be taken in conjunction with a diet where each meal contains less than 15 grams of fat. A regular exercise program will also help speed up your weight loss. It is believed that for every two pounds of weight loss you experience through diet and exercise, Alli® will help you lose one more pound. It is recommended that you maintain a low fat diet while taking Alli®. Since the absorption of fat is blocked, the fat is then passed on through the digestive tract where it can create problems such as loose bowels, flatulence and abdominal pain. These side effects can be amplified if you eat a meal that is particularly high in fat. Alli® has been a popular weight loss supplement since its introduction and is the only weight loss supplement that has been approved by the FDA. When used in conjunction with a low fat diet and exercise, Alli® has proven to help lose weight faster; however the side effects can be uncomfortable. Alli® is a best seller on Amazon and can be purchased for less than $50 per bottle of 120 capsules. It has a high rating and nearly 2,000 positive reviews. If you want to build muscle, then you need to cause muscle damage and metabolic stress. By lifting weights, you can cause a build-up of damage and this will provide precisely the stimulation you need to trigger muscle growth during rest. To lose fat, improve your fitness and get better health though, you need to use cardiovascular training. Cardiovascular training is any type of training that involves exerting yourself for an extended period of time. Very often this will mean running long distances, with jogging being perhaps the most popular form of cardio training. Not far behind though are swimming, cycling, skipping, rowing and others. Traditionally, this kind of cardiovascular training has been ‘steady state’. That means that you put on your running shoes, you step out of the door and you run for about 40-60 minutes. It’s steady state because you are maintaining a steady level of exertion throughout the course of the exercise. In this case you are jogging at a set pace and then maintaining that pace. For a long time, this was thought to be the very best way to burn the maximum number of calories and to improve fitness – and there was good theory behind why this should be the case. Specifically, it was thought that there was an optimal ‘fat burning zone’ and that this could be found at roughly 70% of your maximum heartrate. This makes sense in theory, seeing as faster than 70% of your MHR would put you past your ‘anaerobic threshold’. In other words, you would be running so fast, that you wouldn’t be able to rely on your aerobic energy system for fuel: you simply couldn’t burn fat quickly enough and so you would be forced to rely on energy stored in your muscles as ATP and glycogen. It would appear to make sense then, that running at 70% of your MHR and maintaining the maximum pace at which the body burns fat, should result in the maximum weight loss. But this isn’t what modern research has found. 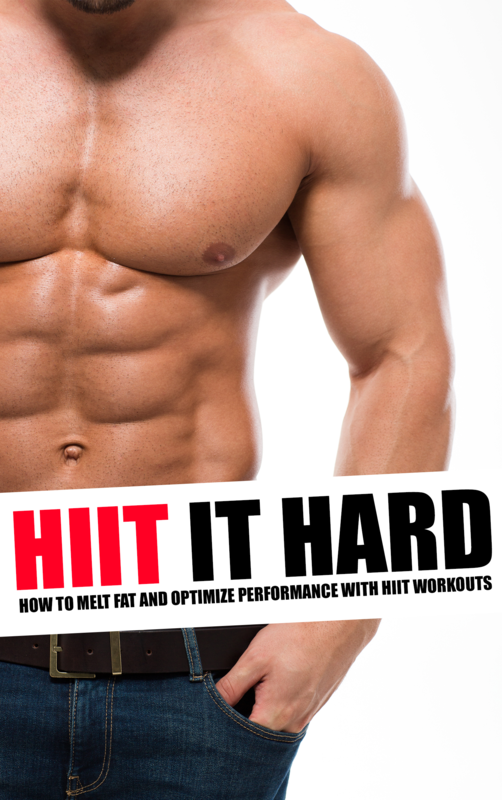 HIIT stands for ‘High Intensity Interval Training’ and it completely turns this concept on its head. In HIIT you actually alternate between bursts of intense exertion (such as sprinting) and periods of relative low intensity exercise (like jogging or power walking). This way, you are switching from your anaerobic energy system to your aerobic system and back; switching between burning energy stored in your blood and muscles and energy stored as fat. But what makes this so effective is what happens after the anaerobic training. When you exert yourself maximally by sprinting or exercising otherwise at 100%, you deplete any energy that might have been available from sources other than fat. This then means that following that, your body can only burn fat for energy – there is no other option remaining. Thus, the you will then burn even more fat during the aerobic portions of the exercise. And when you finish and go home, you will continue to burn fat stores because you’ll still be low on stored glycogen. This is what some people refer to as the ‘after burn effect’ and it means that after an intensive session of HIIT, you can continue to burn more calories for the entire remainder of the day! HIIT is able to burn more calories than steady state cardio then and because you’re exerting yourself more at certain points throughout your training, this means you should also see be finished in a much shorter space of time. Typically, a HIIT session can last between 10-20 minutes and be just as effective in terms of calories burned as a 40-minute run. For those who have a busy and hectic work schedule then, HIIT training is the ideal solution and allow them to squeeze in a few short minutes of highly effective training to get amazing results! There are more reasons to get excited about HIIT too. When looking at any type of training program, what’s always useful to keep in mind is the SAID principle. This means ‘Specific Adaptations to Imposed Demands’ – it means that your body changes to adapt to the demands placed on it. If you train at altitude, you become better at training at altitude. If you jog, you become better at jogging. Thus, HIIT makes you better at high intensity activities – which include sprinting, running, rowing, boxing, wrestling, play fighting, sports, moving furniture and more. These are things we are much more likely to utilize in our daily lives and that makes this a more adaptive and useful form of training. Whereas steady state cardio makes you more effective at ‘long slogs’, HIIT makes you explosive and athletic. And this also creates a number of other great advantages too. For instance, HIIT has been shown to help improve the efficiency and number of mitochondria. Mitochondria are tiny ‘energy factories’ that live inside all of our cells and have the critical role of creating and utilizing ATP (adenosine triphosphate). This is the most fundamental form of energy in the human body and it’s what fuels all our movements as well as all our thoughts. More mitochondria means greater energy efficiency. That means yet more athletic performance and even more brain power. Your brain cells have mitochondria too! Ever wondered why little kids seem to run in circles all day without getting tired while older generations get exhausted from getting up to turn the TV on? One of the big reasons for this discrepancy is the difference in the number and efficiency of mitochondria. This also improves your ‘VO2 max’, which is the amount of oxygen you are capable of using. The greater your VO2 max, the more efficient you become at oxygenating your body. This is one of the biggest indicators of physical fitness and one of the things that athletes are encouraged to focus on in their training. But perhaps best of all is that the kind of explosive movement used in HIIT will invariably engage your ‘fast twitch muscle fiber’. These are the muscle fibers that contain more mitochondria and that are responsible for delivering rapid power. They’re also the biggest type of muscle fibers and the ones that will make you look like a bodybuilder. If you engage in steady state cardio, then you can risk converting your fast twitch muscle fiber into slow twitch fiber. Why? Because you are placing high energy demands on your body over a long duration – and thus your body will want to move the ratio toward the most efficient form of muscle fiber. What’s more, is that you create a highly catabolic environment that in short starves your body of fuel and forces it to break down both fat and muscle. This is why most long-distance runners also happen to be stick thin. But when you engage your fast twitch muscle fibers, you show your body that you need explosiveness and you shorten the length of the catabolic period. This in turn means that you don’t risk breaking down muscle tissue in the same way, allowing you to create a physique that is hard, ripped and powerful. Women can expect toned definition, while men can expect rippling vascularity and striations. That’s why, as we stated earlier, this is the preferred weight loss strategy of cover models and celebrities. Oh and did we mention that it’s also highly versatile and practical and can be performed anywhere? Yep, that’s pretty much why people love HIIT. Let’s introduce it into your routine, shall we? Just before we do that though, let’s take a closer look at the science. Boring I know – but it will be crucial in helping you to really understand what you’re doing, rather than just following a routine blindly!